pseudoparanormal: Alien Abduction or Sleep Paralysis? 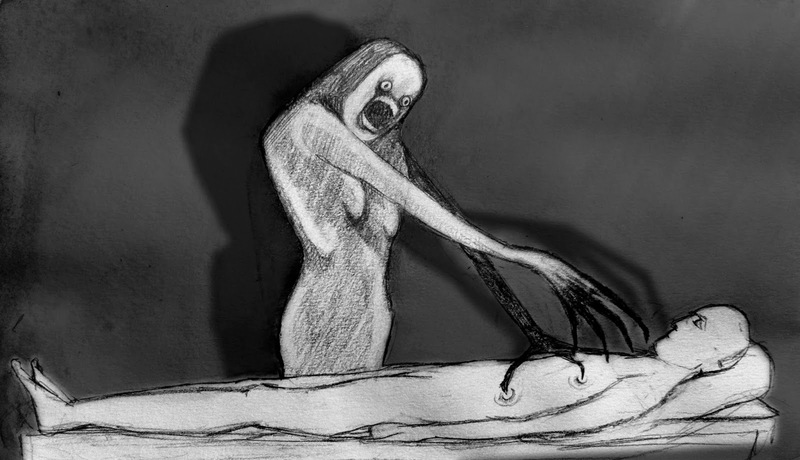 Sleep paralysis, by definition, is a frightening form of paralysis that occurs when a person suddenly finds him or herself unable to move for a few minutes, most often upon falling asleep or waking up. Many people confused this sleep paralysis with alien abductions or visitations. Ever since I can remember, my Uncle Chris always told me stories about how almost every night he was visited by aliens. As stated in chapter 6.2, the phenomenon of sleep paralysis is usually estimated as occurring in 15%-25% of the population. It is also commonly associated with feelings of suffocation, the sense of a presence, and hallucinations. My uncle speaks about each of those symptoms and more. He tells me that he is woken up in the middle of the night to the presence of aliens in the corner of his room, all staring at him. He says that they have him paralyzed and unable to move or call for help. Additionally, he tells me that they make it very hard for him to breathe and that he feels immense pressure all throughout his body. As they gradually get closer to him, he tries to yell, scream, move, anything to get my aunt's attention so that she can help him. He says that her waking up makes them go away, as if they only want to torture him. However, seeing he is paralyzed and cannot get her attention on his own, he says that he must endure the pain until she hopefully wakes up or they go away on their own. My aunt says that she has never seen these "aliens" and says that their dog has never barked or done anything to make her suspicious that they might be there. To that effect, I have a hard time believing that actual aliens are visiting him at night and torturing him. I think my uncle is just undergoing the effects of sleep paralysis and seeing the aliens as hallucinations. Looking online, I have found many other stories very similar to my uncle's and all are consistent with what he has told me he has experienced. I have attached links to a few interesting articles below. After reading the text and hearing peoples stories about their experiences I can't help but wonder what makes so many people experience the same symptoms of aliens paralyzing them in their sleep.